KillaGrilla grate and chicken wings? Hi folks! 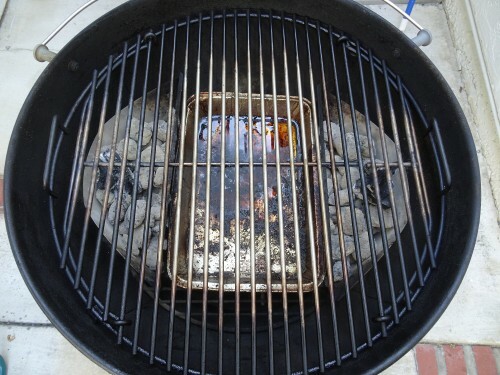 I’m considering upgrading the grate on my 26” kettle to the KillaGrilla grate. My only concern is that I make a lot of chicken wings and I’m worried about the gap spacing. Can someone with a KillaGrilla grate confirm for me that this isn’t a problem? I don’t want my wings falling through and I don’t want to keep two grates around. 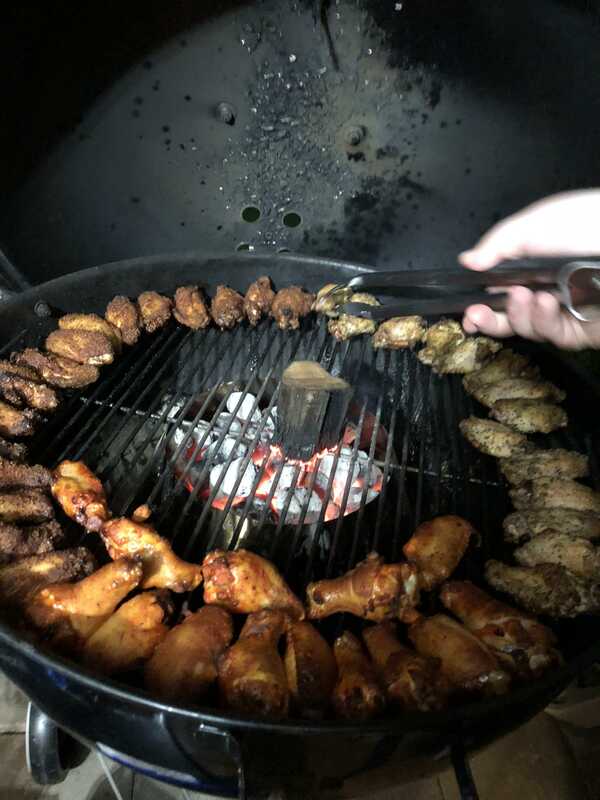 Re: KillaGrilla grate and chicken wings? I don't have that grate but it's hard to imagine wings would fall through. And you couldn't turn them perpendicular? With the vortex, the wings always point to the center so there will be a few that line up directly with the gap. The rest shouldn’t be a problem. I have the 26" Killa Grilla grate with two flip up doors (KG9245 - made for vintage 26er's). The spacing between the grate rods is 1/2" as are all on all the Killa Grilla grates. I don't cook chicken wings by themselves but my guess is it is possible a wing could slip through the gap if a person was careless. I have been using my 22" Killa Grilla grate for over a year now. Only thing I lost through the gap was a sliced zucchini once. I use a spatula now with zucchini instead of tongs. Can you clarify if that is 1/2" center to center or 1/2" gap between rods? That’s a beautiful pick. I ordered my grate! @pbe gummi bear - 1/2" gap between the rods. Here is a pic of the wings on my 22. You can see why I need the 26”! !